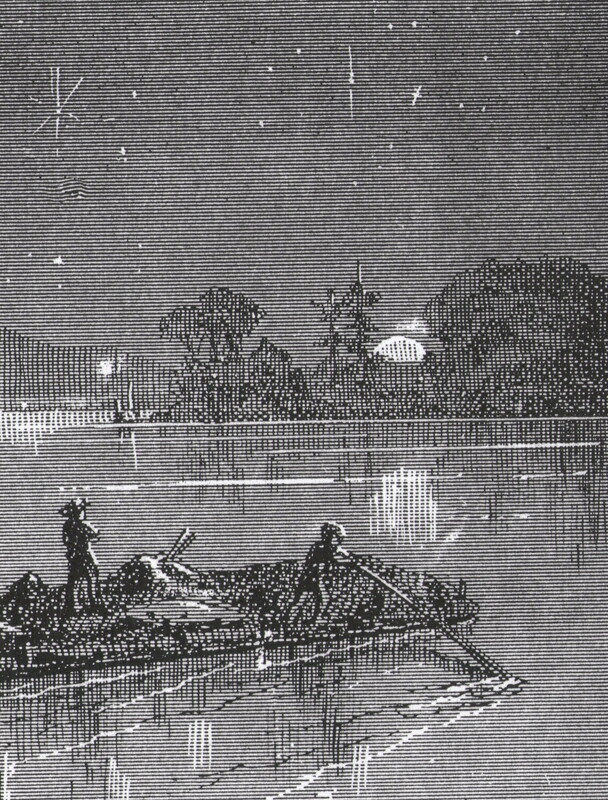 “Professor Gribben himself recounts, for the first time at length in print, the full story of the NewSouth editions. He also discusses the impact those editions are now having in schools and raises compelling questions about what really constitutes censorship. It is an essay that may change the opinions of many readers” (p. ix, editor’s preface). During the controversy in 2011 scores of cartoonists missed the point that translating the n-word into “slave” was a way to increase readership of the book in public schools and colleges, and instead slammed the NewSouth Edition as “sanitizing” Huckleberry Finn. 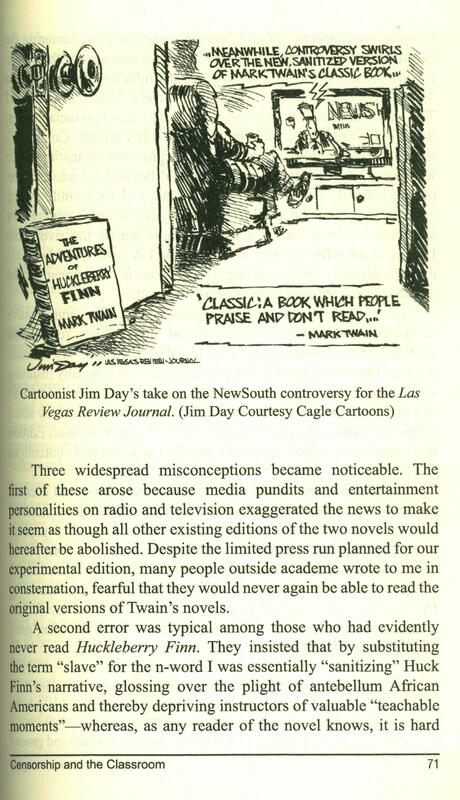 Cartoonist Jim Day of the Las Vegas Review Journal perceptively quoted Mark Twain’s definition of a classic as “a book which people praise and don’t read.” Objections to the racial slurs in Huckleberry Finn have removed the novel from the reading lists in many school districts and campus classrooms. This 2017 essay is the full story of “The Price of Fighting Censorship: Mark Twain Editions Today,” a paper that I presented at the Banned Books Week Conference at Lafayette College on October 4, 2012.